It’s August and, of course, we are working on Christmas! What else? Here’s a new character we’ll be using through the festive period. 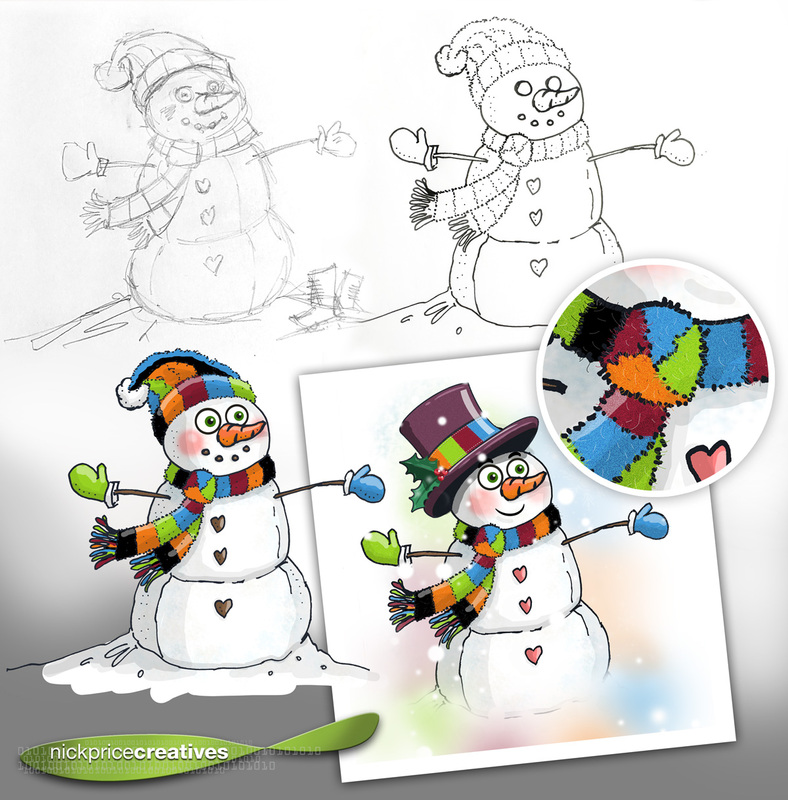 Our original pencil drawing can be seen top left, an outlined version next to him – the first coloured version, although I didn’t like the woolly hat – then the final version with a revised hat. The circle shows the the detail in the scarf – we added a lot of texture and woolly threads to give a different finish to the speckled snow of the snowman. All ready to animate for Christmas promotions. Ho Ho Ho.